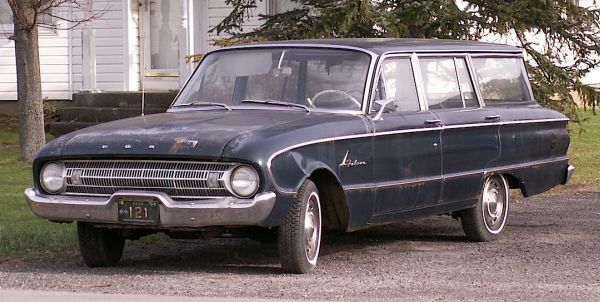 Here’s something you don’t see every day — a 1961 Ford Falcon Fordor station wagon. Yes, a Fordor, as in four-doors, I guess. And before you ask, the two-door version was called a Tudor. I’d love to have been in the meeting where they picked those names. Must have been after a three-martini lunch. Saw this one over the summer in North Tonawnda. Jim Corbran, RRofWNY …and check out our Facebook page: Non-American Classic Cars The post RealRides Of WNY appeared first on Buffalo Cars.